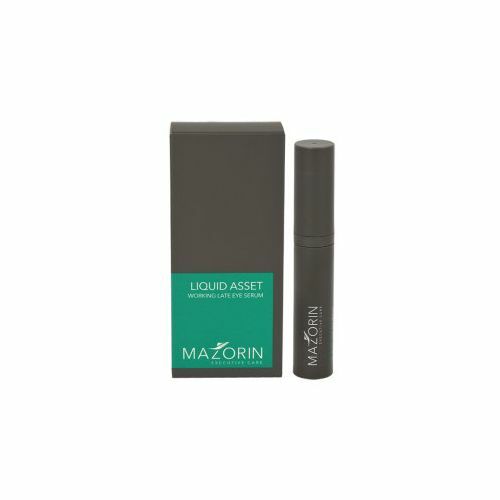 Mazorin Liquid Asset Pre-Meeting Face Re-Vamp does exactly what it says on the packet; re-vamps your complexion when you're feeling tired and fatigued. Formulated with natural skin care ingredients that help to restore moisture and vitality, Mazorin Liquid Asset Pre-Meeting Face Re-Vamp is the espresso of the male grooming world. These easy-to-carry sachets slip discreetly into your pocket and take seconds to apply. Mazorin Liquid Asset Pre-Meeting Face Re-Vamp is perfect pre-meeting, on a plane or anytime that your skin is in need of a little assistance. Contained in these easy to carry sachets, they're perfect size to fit into your wallet or your jacket pocket. Loosen any clothing around the neck. Tear the sachet open and dispense the entire contents into the palm of your hand. Apply the serum to the face and neck to completely re-energise yourself. There is enough product to apply a little to your neck area too. This will really help to stimulate your senses and re-fresh your mind. Excellent for an instant face boost, great after a night out and if going out straight from work. Discreet sachet which I can put in jacket pocket-great product. Well I have to say these small sachets are incredible. I have one inside my jacket pocket most days. Excellent for instant face pick-me-up! Gives healthy instant glow, not shiny, perfect if want to make good impression, after work drinks from office/gym etc. My new must have! Can't wait to try the other products in the range.....very impressed.